What should I know about EMV cards? EMV (which stands for Europay, MasterCard and Visa—the three companies that created the standard) is a technology that helps limit credit card fraud by preventing the creation of counterfeit cards and makes point-of-sale card payments more secure. EMV cards have microprocessors in them (known as “chips”) that protect cardholder information. 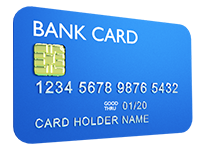 EMV cards are sometimes called “smart cards”. How do changes in October 2015 affect child care providers? As a child care provider, there is no significant change. You will continue to assume liability for any fraudulent transactions, just as you have in the past. The good news is child care has an extremely low, practically non-existent fraud rate. That’s because child care is a service your families rely on and use week after week—it’s not a one-time purchase of merchandise by someone unknown to you. What percentage of Tuition Express payments are reported as fraud? Our history shows that just .0026% of payments made through Tuition Express come back as fraud chargebacks… that means 1 out of every 37,000 transactions is affected. In other words, if you processed 130 credit card transactions each month, you would see a fraud occurrence once every 24 years! What types of card transactions are affected? Only point-of-sale payments, where the card is present. This means payments made at a check-in computer or payment station and those made at the front desk by swiping a card. Will I need a new card reader for Tuition Express? Eventually, yes. EMV cards work in either new or old card readers, but you will want a new EMV reader when they become available (see next question below). The new card readers will be for EMV cards only—you’ll continue to use your existing magnetic card reader for traditional cards. What if I swipe an EMV card in my old card reader? It will work fine. You will receive payment as usual. However, in the unlikely event the transaction turns out to be fraudulent, you would continue to be liable just as you are today. As stated above, the chances of this are extremely low since it is highly doubtful a family would use a stolen or counterfeit card to pay their child’s tuition.